Problems With the Shopping Cart? We are sorry you are having a problem ordering online. The answer to your problem may be very simple. The shopping cart will not work if you entered our web site from a search engine link such as Google. 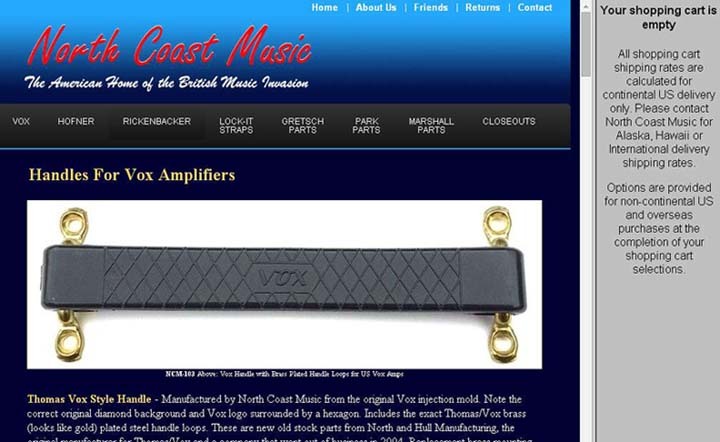 Solution: Please reenter the web site at www.northcoastmusic.com and try again. When the shopping cart is enabled, it will display itself on the right side of your screen as shown in the sample screen image below.